I just emailed surefire to request to send it in for repairs. 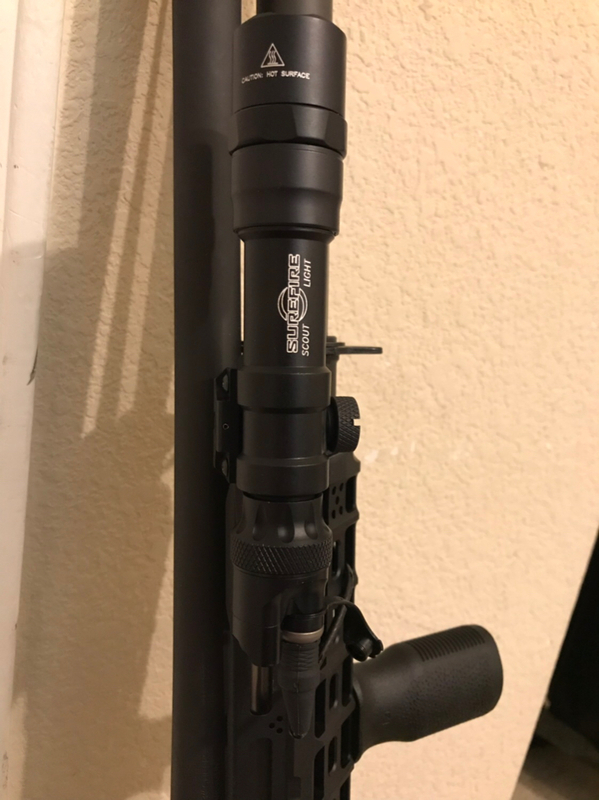 I have mounted a surefire m600df on an aluminum Magpul mlok mount. Today it just stopped working after firing buckshot. Should I change the mounting system to all polymer and wrap electrical tape around the flashlight to soften the benelli M4 recoil? I thought surefire was supposed to be strong. What is a good weaponlight that can handle the recoil of a benelli M4? I'll have to keep an eye out for this. 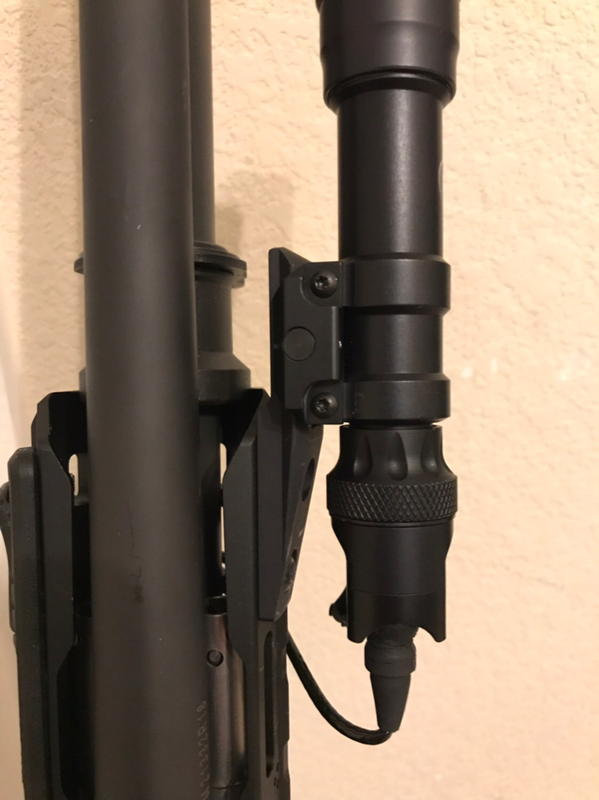 I recently installed the same light on my Benelli M1014 and as far as light mount I have the M600-DF on a IWC scout mount. On the other hand Surefire will get you taken care but it is quite odd for that to happen. I'm wondering if it's the tail switch or the light that failed. Last edited by AreWeFree; 04-11-2019 at 9:51 AM.. Your name has been publicly printed in newspapers and on the web, your expectation of privacy is flat gone. You have been banned for the following reason: posting other member's personal info without permission. I don't care what your reasoning is that is not allowed. Surefires have a bad habit of not working when you need them. Unfortunately they look nice and have a high price tag but their quality and or functionality just isn't there..... I've dumped more surefires than I can remember. What's a good one that can handle the violent recoil of a semiautomatic shotgun? I run SureFire dedicated forends on my M1 super 90 and M590 with Malkoff drop in modules. The potted electronics of the Malkoff make them bomb proof. Can DI AR's run dirty? I use an AVA tactical mount with a Surefire 6PX with a single click tailcap. Never had any problems or concerns. Cry Havoc.... and let slip the Dogs of War. I’ve not had any failures myself. But also owning both brands I have to say my impression of Streamlight products has been nothing but favourable. And their quality and bang for the buck makes them my go-to brand. I am not your lawyer. I am not giving you or anyone else who reads my posts legal advice. I am making off-the-cuff comments that may or may not be accurate and are personal, not professional, opinion. If you think you need a lawyer please retain a qualified attorney in your jurisdiction. Your local bar association may be able to help if you need a referral. All times are GMT -8. The time now is 3:12 PM.